I’m veering off-course a bit today and talking about something non-book-related...a heartfelt birthday wish from Ian Somerhalder. Ian created the Ian Somerhalder Foundation last year, which “aims to empower, educate and collaborate with people and projects to positively impact the planet and its creatures.” Be sure to check out the website for more information on what they do, and how you can get involved. Ian turns 33 tomorrow (December 8th), and for his birthday this year, instead of gifts, he’s imploring people to support the ISF by donating money. Between the over-abundance of ‘stuff’ we all have, plus the resources that would be used to buy and send a gift (materials to create something, the cost, packaging, shipping, etc), I think the idea of donating money is a brilliant one. I know that money is tight for a lot of people, especially this time of year, but every little bit helps. I struggle from paycheque to paycheque, and know what it’s like to go without things I need, but I’m also extremely blessed to have a roof over my head, clothes on my back, food on my table, and most importantly a family who loves me and supports me no matter what. I haven’t been able to donate to any other charities or organizations this holiday season (except for my knitting, which I’ll talk about in a second), but I have $10 in my PayPal account, so I’m going to donate that to the ISF. It’s not much, but it’s something. Seriously, if you can afford it, please, please consider donating. If you can’t afford it, please consider spreading the word via Twitter, Facebook, Google+, your blogs, other social media networks, word of mouth, whatever. Most of the people who read this blog are fellow book-lovers, and I know some of you buy books like there’s no tomorrow lol…so maybe consider buying one less book and donating that money to the ISF? So, the knitting I mentioned…for years, my Grama knit for charity. She used to make little hats for premature babies and donate them to the local hospital. Several years ago, she started donating mittens to the Fireman’s Mitten Tree, which donates mittens, hats, scarves, and other warm clothes to families in the area who need help. Each year, she would try to out-do herself, and last year she had over 70 pair of mittens. I was so inspired, impressed and awed; she was 99, and such a bright, shining light. She loved children and would talk about the little hands that her mittens would keep warm. I wanted to help, so I set a goal of knitting 12 scarves in 2011 to donate this Christmas, and challenged my mum to do the same. I’ve been working away at it all year, and my Grama got a good start on her goal, but she passed away at the beginning of August. When she was lying sick in the hospital, she said to my mum and me, "I'm so annoyed. I could be knitting or reading or painting instead of lying here." Classic Grama lol. We have about 30 pair of her mittens to donate to the Mitten Tree this year, plus all the scarves my mum and I made. I also came up with a challenge last year and recruited people who were interested. You can read all about it here - Helping Those Less Fortunate - Knitting and Crocheting for a Good Cause. I haven’t updated it in awhile because it’s been too hard for me…even writing this, I’m close to losing it because I miss my Grama so much. But, I picked up my knitting needles for the first time since August, and I’ve got another scarf almost done. 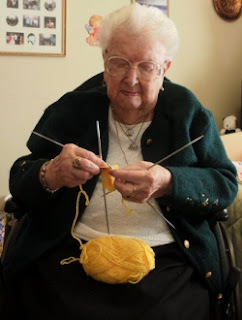 We’ll be going to her old nursing home and putting the mitts and scarves on the tree next week. She would have been happy. Anyway…there’s always something you can do to help people, animals, and the environment. Since I don’t have a lot of money, I try to do my best to do small things that I know make a difference. I’m fanatical about turning off lights and appliances, conserving water, keeping the heat or air conditioner turned low, and I’m a total recycling fiend. Some people bug me about not having a driver’s license, but when I can take the bus or walk almost everywhere I need to go, why would I add extra strain to the planet by buying, maintaining, and driving a car when I don’t need to? I realize a lot of people need cars, but I'm not one of them. By not having a car, that's one big way I can reduce my carbon footprint. Everything we do has an impact. 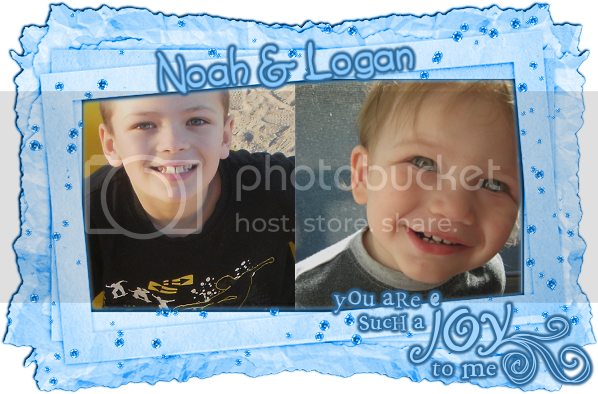 I always think of my two precious nephews, who are the lights of my life, and the shape the world is in scares me. I want them to grow up in a world with clean water, clean air, and where people will do everything they can to help each other. We have to think beyond ourselves and think about our children and our children’s children, and what the world will be like for them. You might think that as one person you can’t possibly make a difference, but that’s not true. There are so many things you can do to make this world a better, safer, happier, healthier place. Maybe that should be a collective new year’s resolution/goal for 2012? I hope you'll consider donating to the ISF and/or spreading the word. 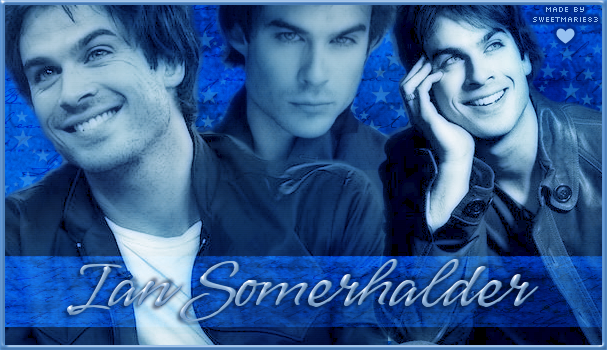 Happy birthday Ian…fellow December baby and Sagittarius...thank you for being such an inspiration. I seriously cried when I read his message, and then I cried again while watching the video...yes, I'm a geek. But who does that? Seriously? I can't think of a single person - celebrity or otherwise - who would take the time to contact each person to personally thank them. Incredible. "...the best birthday present I could possibly imagine receiving is a donation to ISF. Everyone who has it within their hearts to support ISF deserves some respect and love, and the only way I know how to give a little of this to so very many is to try my very best to try to send each and everyone of you a personal email. I want to reach out so I can thank you for your support and learn a little about you to discover how you fit into this remarkable family. I know that seems crazy! But it's important to me to be able to connect and bond with all of ISF. So while it may take me some time to respond to everyone, I will do my best to try to thank each and everyone of you for sharing whatever you can with ISF. Gratitude typing fingers ready to fire! Thanks for even taking the time to read the above. You guys are freakin awesome. xo"
Ohhhh how awesome is this post??? Go you! !